Where does it stem from? Where does it spring from? Is this the end of our story untold? An eternal saga of two souls? It was the first night of celebrations of Navaratri also called Durga Pooja at the temple. 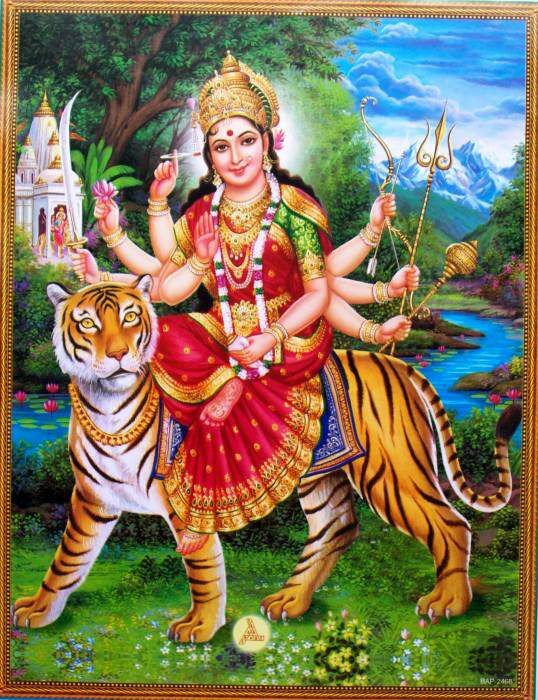 This popular Hindu festival is celebrated every year over nine nights for the worshipping of the divine mother Durga. A statue of the goddess clad in a bright red saree, an auspicious color that also symbolizes the victory of good over evil is adorned. The priest, who was conducting the prayers in Sanskrit, now and then stopped to explain the meaning of the prayers to the devout assembly of people, mostly women. He emphasized on the need for devotees to be of service to others, specially the old, the infirm, the sick and the poor, as a precursor to prayers during the period of fast, to win the heart of the Divine Mother and to receive Her Blessings and Grace. One of the simplest ways of doing ‘seva’ (service), he candidly explained, was ‘to help a ‘Dadi’ to cross the road’. ‘Dadi’ is a Hindi word meaning either a grandmother or an old woman. Appreciative of the joke, she giggled like a little girl. Both of us are fortunate grandmothers but, very young at heart; moreover, we both drive our private Benz. The next morning I drove to town to buy vegetables. At one point of time, I left the car in the parking bay and crossed the road to the market place. Later, when I was returning to my car with two heavy baskets of vegetables, I stopped at the pedestrian crossing; I looked left, then right and left again. The road was clear but the little man at the robot was still wearing his red suit. Instead of proceeding on my way, I hesitated and decided to wait for him to change to green. All of a sudden, an unknown lady came from behind me in a rush. She got hold of my right elbow. She pushed and virtually dragged me across the road. Taken by surprise, my only reaction was to walk aided by her to the other side of the road. I hardly had time to utter a word, she had disappeared! I only had a glimpse of her red attire. Deep in my heart I knew that it was none other than the divine mother in human form. What a lesson in humility to learn from the Goddess Durga, the lady in red.